you can be one of the first responders helping in your neighborhood. This American Red Cross EMR class will teach you how to perform life-saving skills. It is a great class to get you started learning advanced medical training in First-Aid/CPR/AED, trauma care and the EMS system in general. Classes are lecture and skill based with a variety of hands on components. This curriculum can be applied for Title 22 and CERT Level 2 & 3.
starting this Tuesday that we must push the class back to first week of October. 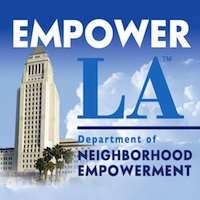 There will be a EMR class happening Mid August through September that is closer to downtown Los Angeles. If you want to be included on that wait list I will add you. I have reserved your space for the class in the Valley starting October. I will keep you updated. I will be sending a link with a e book for you to read ahead of time. Also a link to purchase a paper book if you prefer. Note: Red Cross students planning on participating in the Rose Parade First Aid stations will only receive their certification cards once they attend Rose Parade Orientation in December. and to receive the registration link for PayPal payment. as we have concurrent classes.